We travelled to Australia for 2 weeks and then headed to SE Asia for 4 weeks. We picked up a few travel tips when we were in Australia but many things changed when we hit SE Asia. 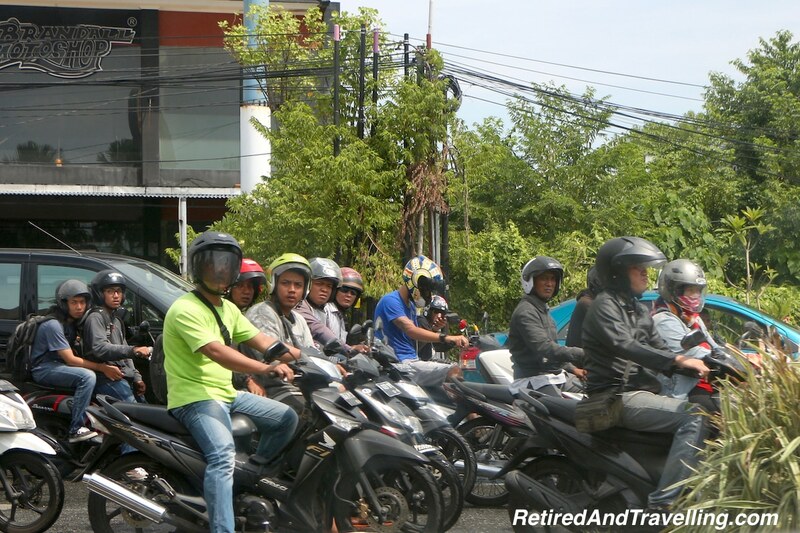 Let us share our 10 tips for travelling SE Asia – the pros and the cons! 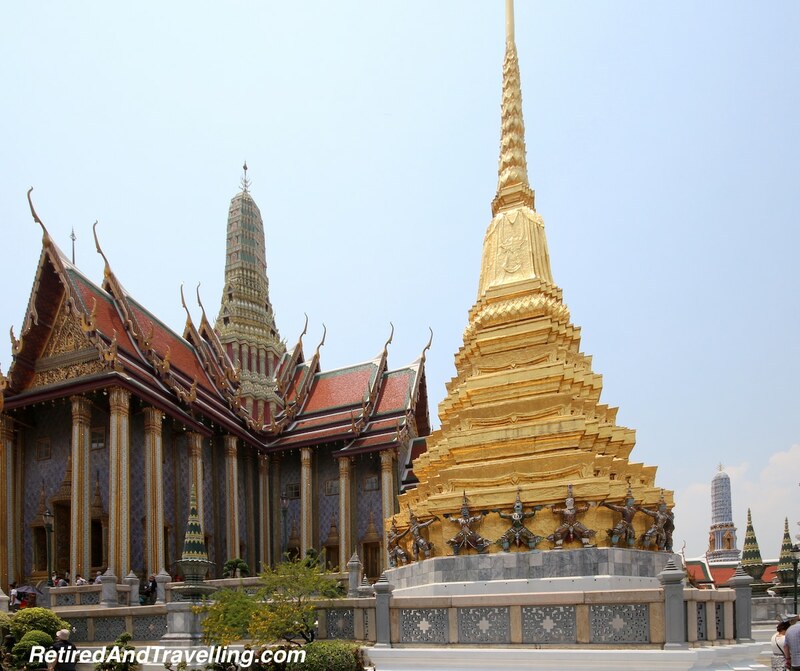 There are many great things to be said about the beautiful countries you will see in SE Asia. 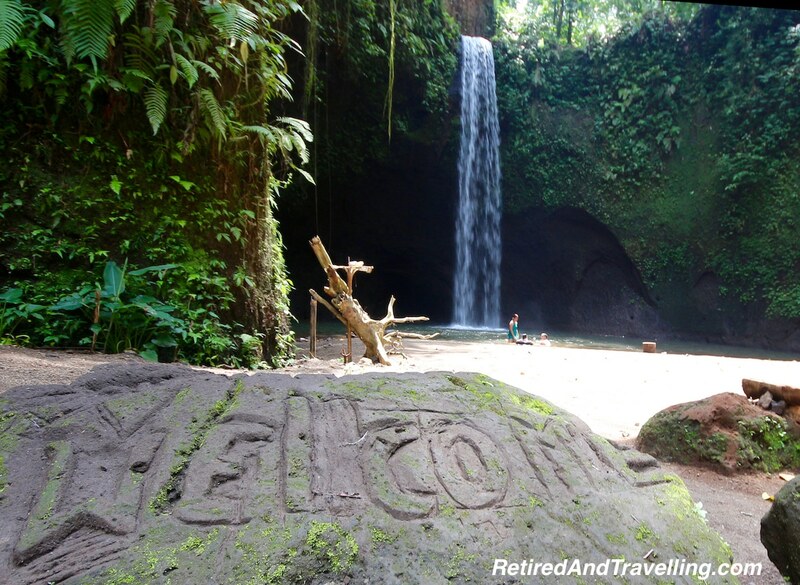 You will find great beaches and amazing sites of beauty on your SE asia travel. 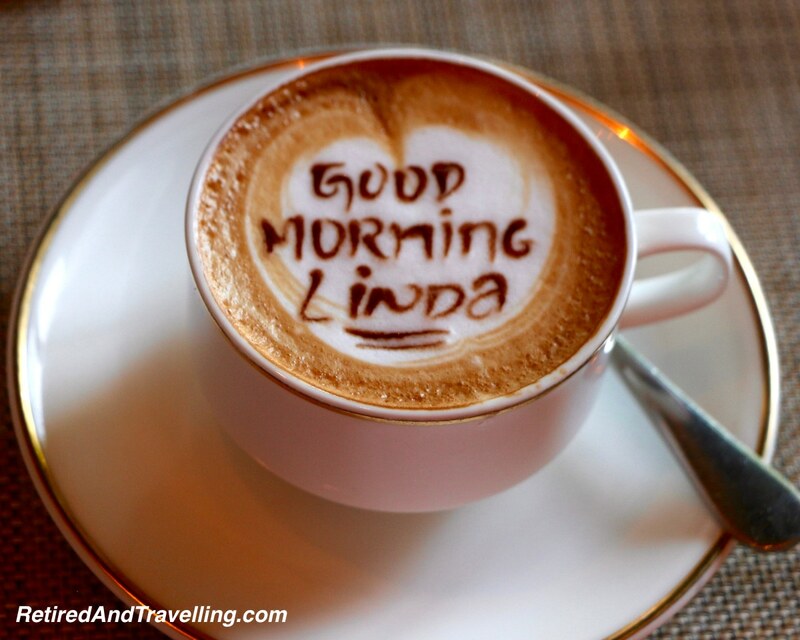 It is not hard to find some of the nicest people while you travel for great value. But there are also a few things that you should be prepared for. It is really hot and humid. Traffic is chaos, so plan for your transportation. There are a lot of tourists so wander to find the hidden gems. And you will sometimes feel like you are a walking dollars sign! 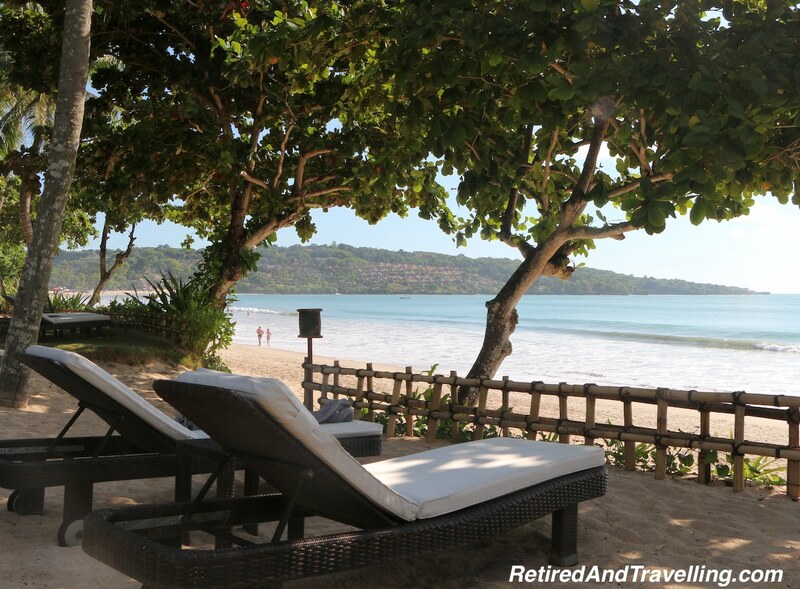 Whether it is for surfing, the western-facing sunset strips or the eastern beaches known for snorkelling and scuba, you will find a beach to love in Bali. While you might not want to swim in any of the water around Bangkok, a short domestic flight will get you to some of the best beaches. 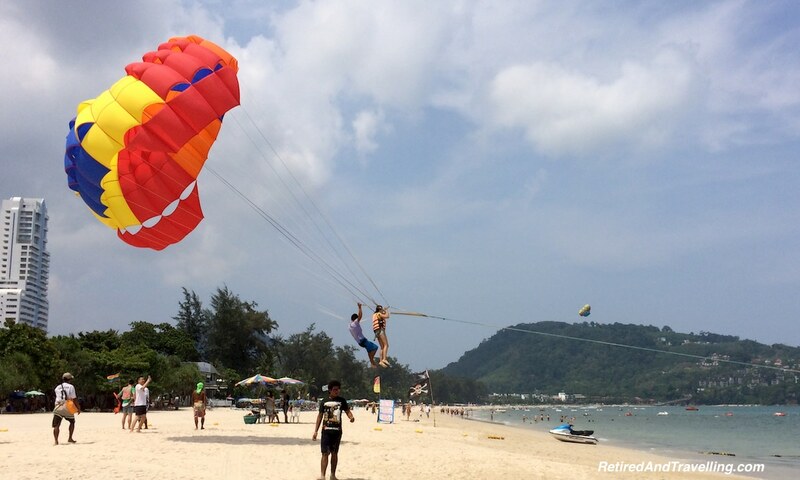 Try Ko Tao, Krabi or Phuket for beaches, boats and water fun! 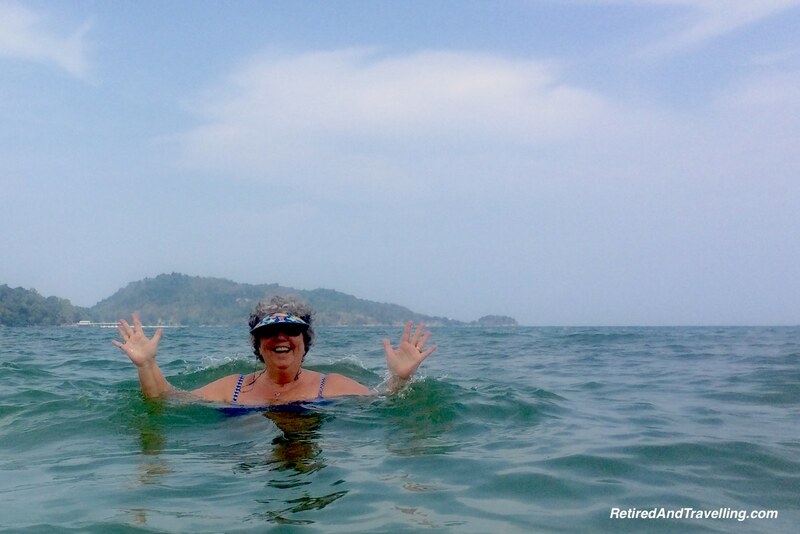 We are water babies so it is not surprising that one of our tips for travelling SE Asia would be … “find the beaches”! If you have seen pictures, you would not be surprised to find that one of our tips for travelling SE Asia means enjoying the beauty you will find. 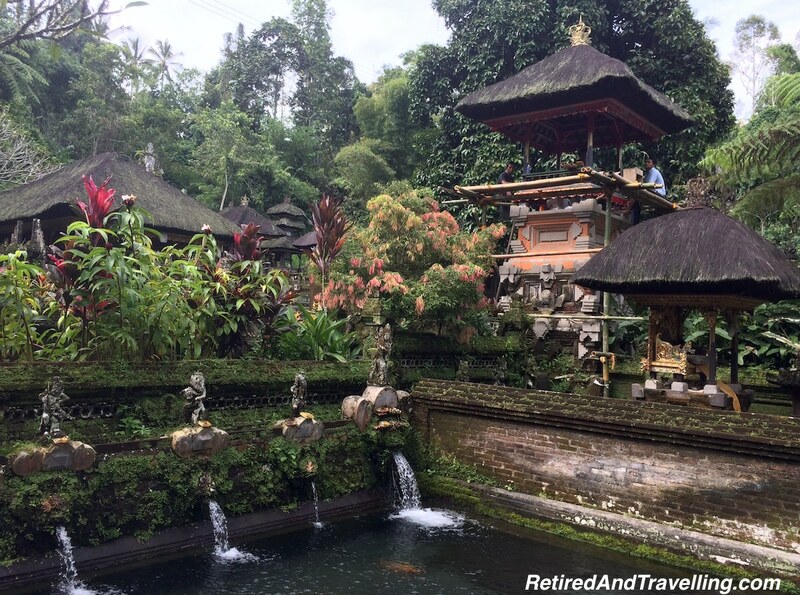 The temples of Bali are rivalled only by the temples we saw in Bangkok for beauty! 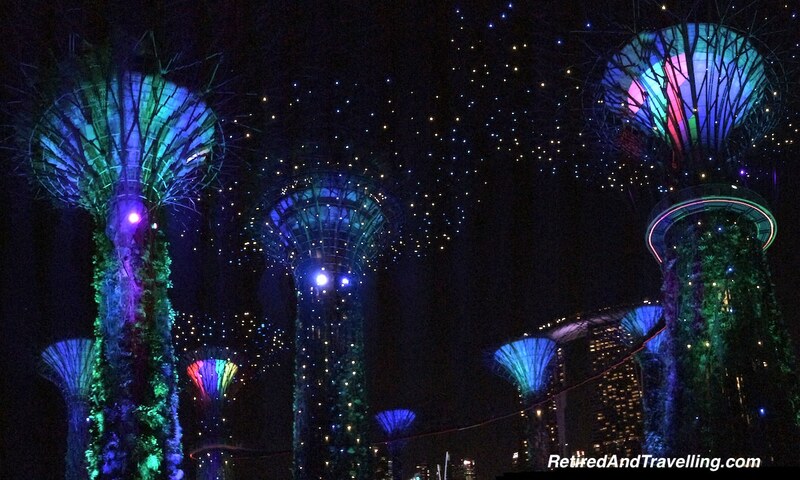 For night light shows, you can try a night river cruise in Bangkok or the awesome musical light show in the Gardens by the Bay in Singapore! 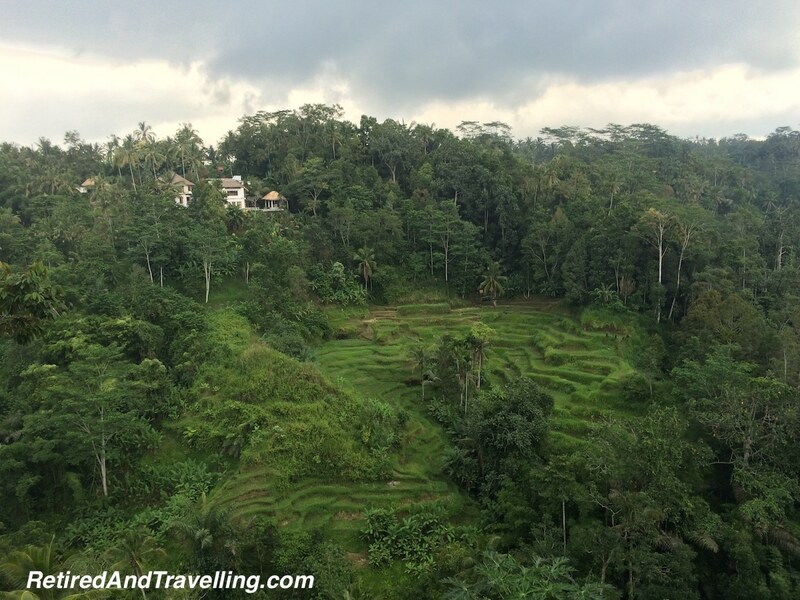 If you want natural beauty, spend a day at the waterfalls and rice terraces at Ubud in Bali. While there are spots that are full of tourists, there are many smaller private spots to enjoy the tranquility of nature. If you are a cruise boat traveller to SE Asia, you will generally only get to see SE Asia during the day. There is certainly lots to do during the day and amazing sites to see. If you spend some time staying in SE Asia, you will get to experience another side. We like to do river cruises and a night river cruise will let you see some of the most popular sites lit up for display. 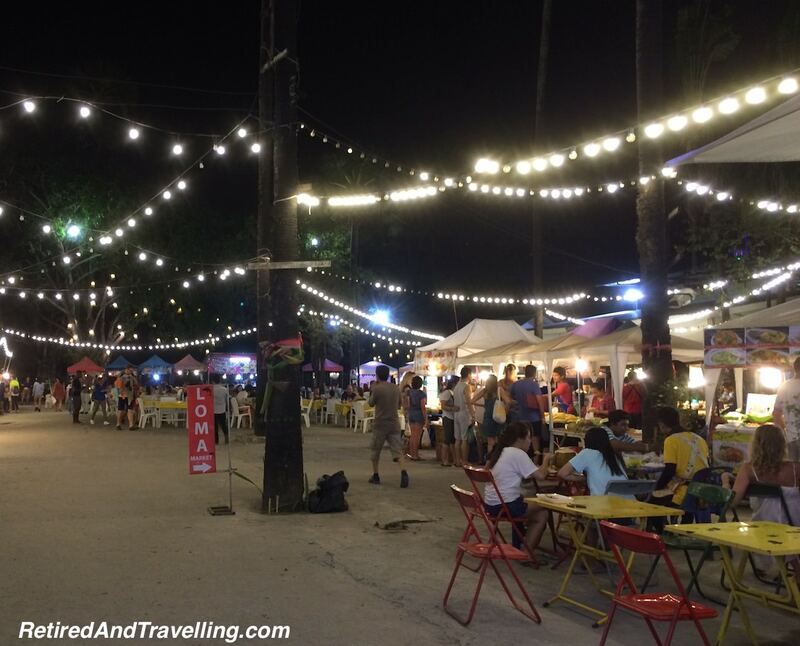 SE Asia is known for its night markets. Tourist restaurants are often not a great bargain. 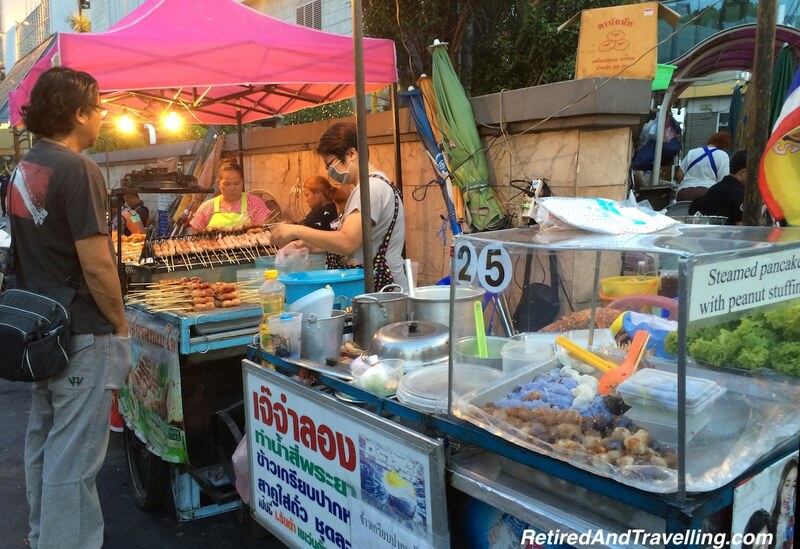 But if you find the night markets you will get a great taste of authentic local cuisine. 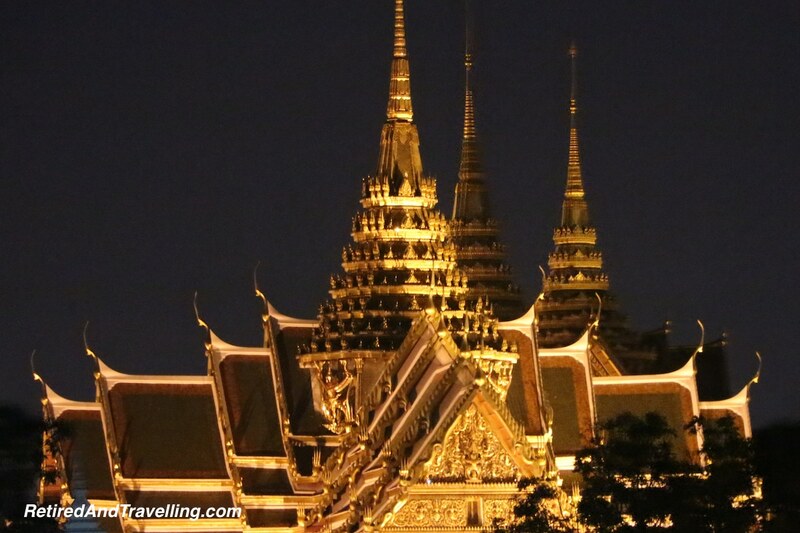 While many of the iconic views of SE Asia look great during the day, some are much more amazing at night. Not unique to this part of the world, but one of our tips for travelling SE Asia relates to seeing a place from different perspectives. Sometimes it is the contrast of day and night. Sometimes it is getting off the land to see a place by water. And sometimes it is just being totally local. 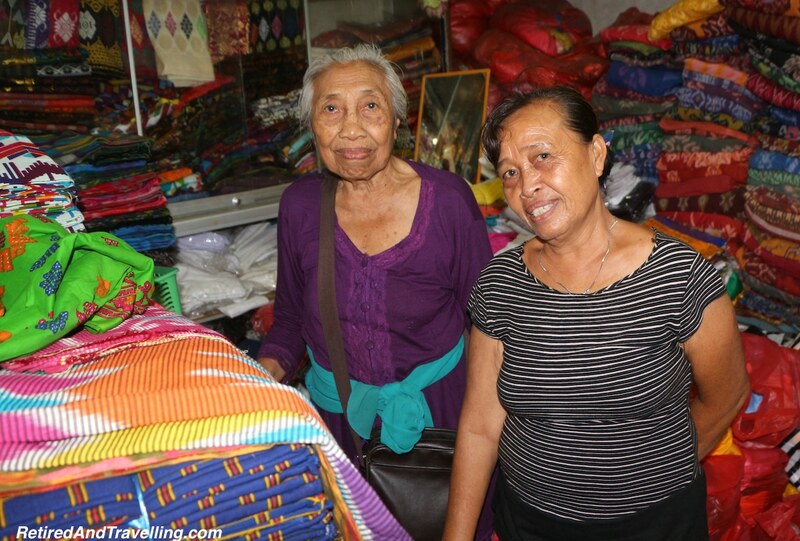 Throughout our trip through SE Asia we met some of the nicest people. Much like we have often found in some European cities, people working in SE Asia take pride in being in the service business and work to be excellent at it. Whether it was restaurant staff, the man we hired as a driver in Bali or locals we met on our travels, we got service with a smile. The local people we talked with are genuinely proud of their countries and want to tell you about them. While you may have to listen intently to understand everything, it will be worth it. A key one of our tips for travelling SE Asia … approach with curiosity and ask your questions. And be prepared for people to be curious about your country too. I will confess up front, I need my creature comforts. Our 22 year old son had a ball travelling in SE Asia using homestays, hostels and not booking resorts. While I admired his flexibility, I often was looking for just a bit more luxury in my travels. While I did splurge on some things, we also took full advantage of the low cost of many things in SE Asia. 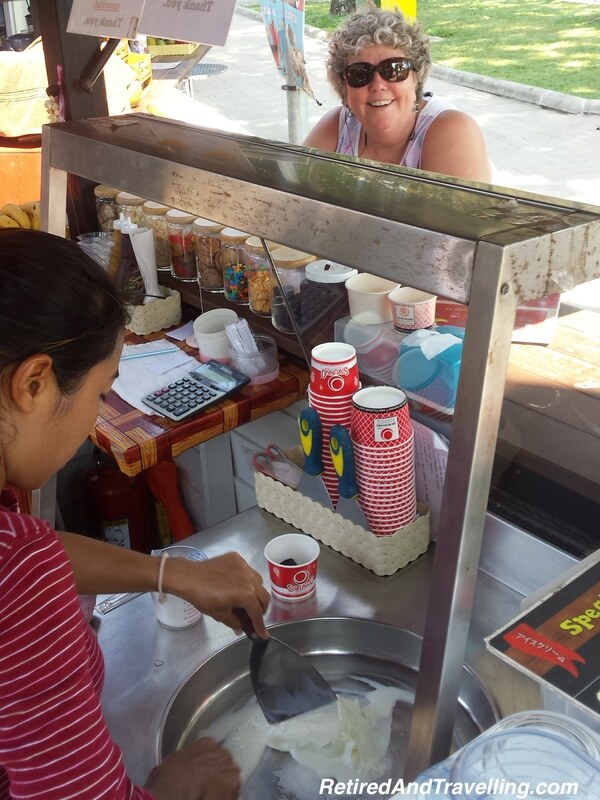 Local restaurants, food carts and markets were great places to grab a meal or to get supplies for a picnic. If you are a spa kind of person, you will be in heaven. 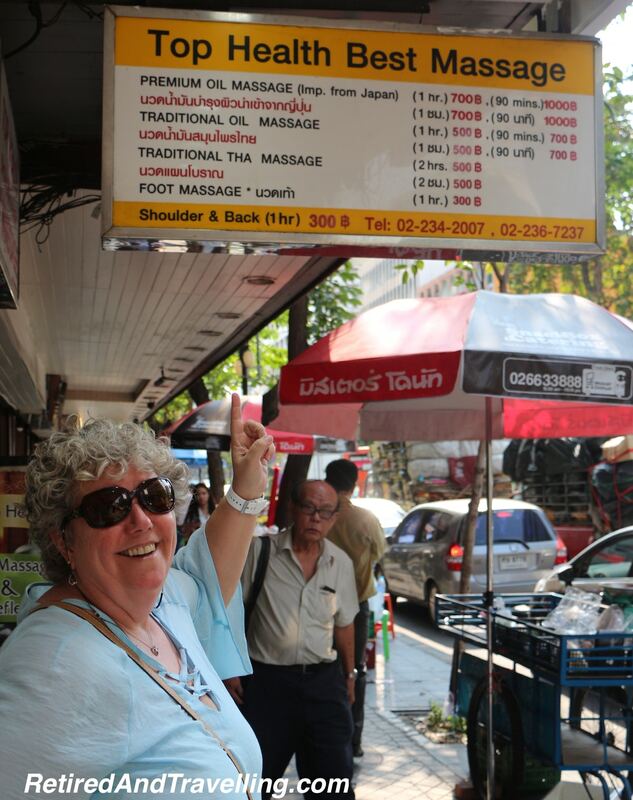 All throughout SE Asia you can get spa treatments and massages for a steal. 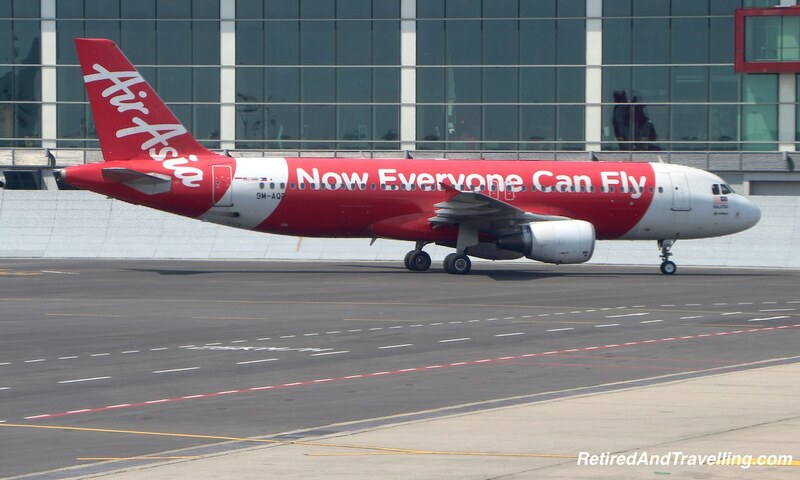 We were quite amazed at how inexpensive it was for basic air flight around SE Asia. Conditioned by very high airfares in Canada, we did not expect it to be so reasonably priced to travel by air. If you can keep your baggage in check and be a bit flexible, you will be surprised at the low rates you will find. We flew several “discount” airlines and were very pleased. Our son Nick began his SE Asia travels with very long bus rides. He soon found that air travel was so much faster and not much more. Find the bargains and your dollar will go much further in SE Asia. One of our tips for travelling SE Asia! The one thing we found consistently high in price was booze. We are not big drinkers, so the occasional splurge was ok. 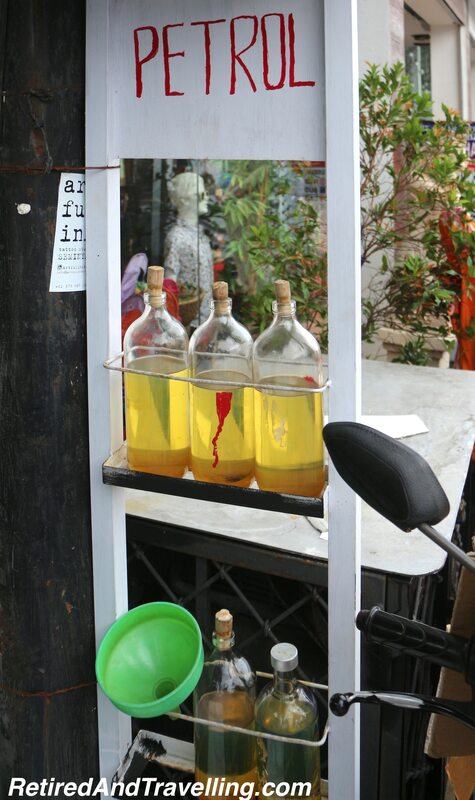 If you do want to drink, spend some time in advance to find a local market with better prices. But beware! Do not buy the vodka bottles sold everywhere on the side of the road. These are “grab and go” bottles of scooter fuel! 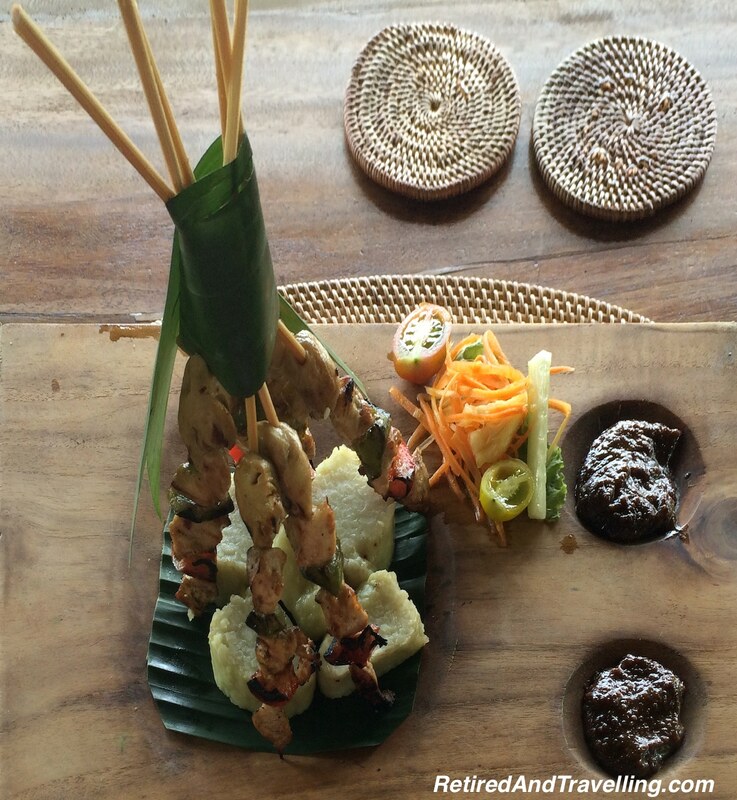 You will find the food of SE Asia to be fresh, healthy and flavourful! We never had a problem finding a good meal. We ate lots of veggies and fruit – something that is not always true when we are eating in hotels a lot. We are spice wimps and it was never a challenge to find food that could be made “not too hot”. 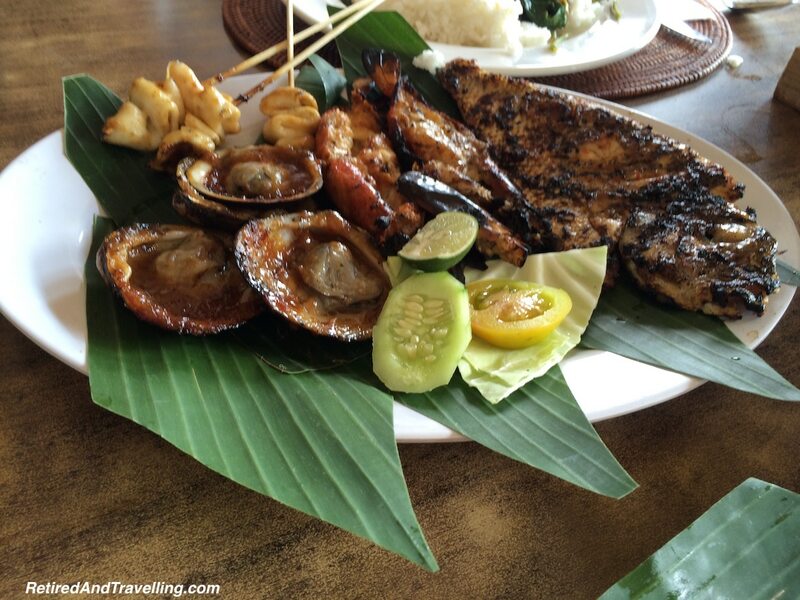 We were delighted to find that we could find great fresh seafood almost anywhere we travelled. 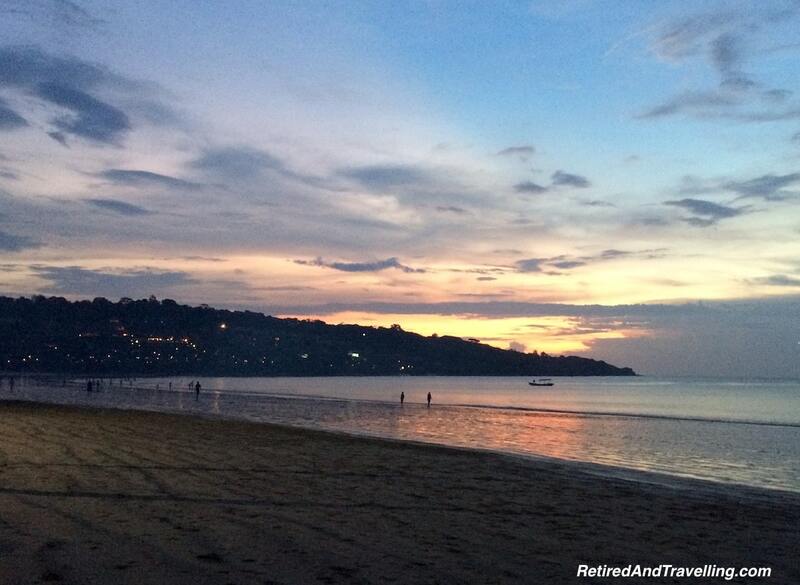 Jimbaran Bay in Bali was a great find with restaurants sitting side by side all offering the catch of the day. And if you look around you will even find some interesting things. One of our favourite treats on a hot day was to watch the show as “fried ice cream” was made right in front of us! If you want to learn more about a country and its food, a cooking course is a great way! We still rave about learning to make fresh pasta in Italy! Take a cooking course while you are in SE Asia and learn to make this delicious food at home! Visiting countries close to the equator you expect it to be hot – and it was. The “low” we had when travelling in April was about 28°C (about 82?). The highs hit close to 38°C. That is hot. But we were not prepared for the humidity being close to 100%. This made 36°C feel more like 43! In this kind of heat you move slow, stay in the shade and are constantly in search of air conditioning. Be careful not to overplan your trip to SE Asia. You will need to pace yourself and plan for some lazy time. 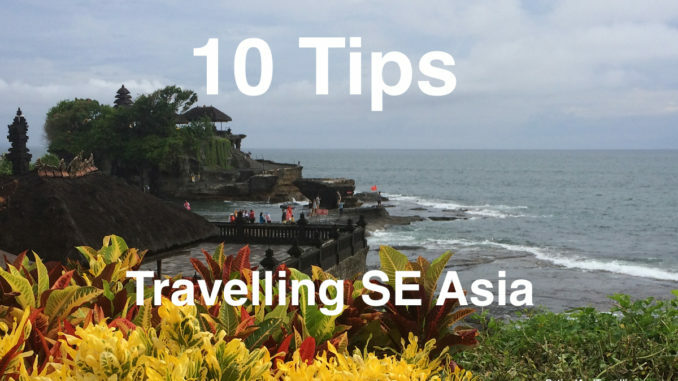 Don’t forget this key one of our tips for travelling in SE Asia. And if you find it too hot, it is always a good plan to enjoy the beaches! Traffic chaos was the norm almost everywhere we went. We chose not to rent a car or a scooter and were very glad with that choice. If you are a bit more adventurous, you may want want to ignore this one of our tips for travelling SE Asia. But be prepared! Scooters and small motorcycles are the main form of transportation for a large number of local residents. It comes as no surprise that anyone who drives scooters for a living looks into use companies like one sure insurance to protect themselves in an event of an accident. As they will be dealing with customers, it makes a lot of sense to cover yourself while on the road. Scooters are also family and even pet transportation. We snapped so many pictures of overloaded scooters zipping past! While the traffic looks like chaos as the scooters swarm intersections, it appeared to be a very controlled chaos. We saw no accidents when we were travelling about. The only horns we heard were taps of greeting when a friend went by. Our son Nick was not at all hesitant about renting a scooter or a small dirt bike. He earned his “Bali tattoo” (road rash) when he came off on a gravel turn. Once patched up, off he went again. This gave him much more freedom to explore and to travel on his own schedules. 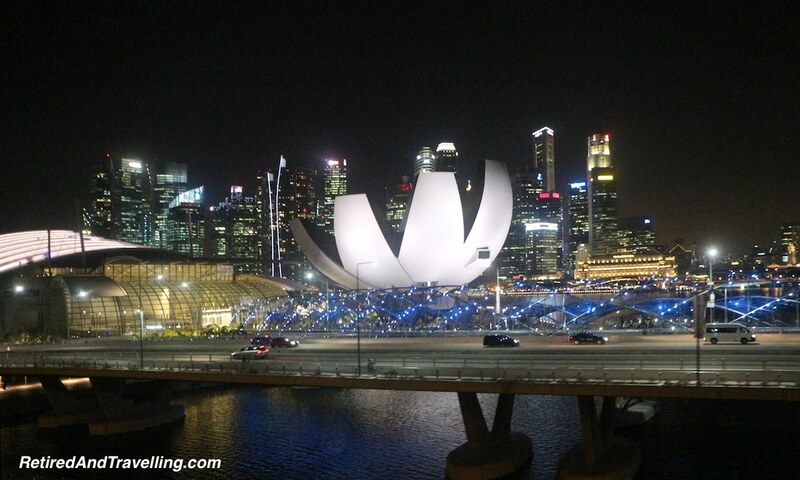 The one place we did not find traffic chaos was Singapore. They have mastered the art of taxes and fees to severely limit the number of vehicles on the road. And there were very few scooters to be seen. But this limit on vehicles has been balanced by a great public transit system. 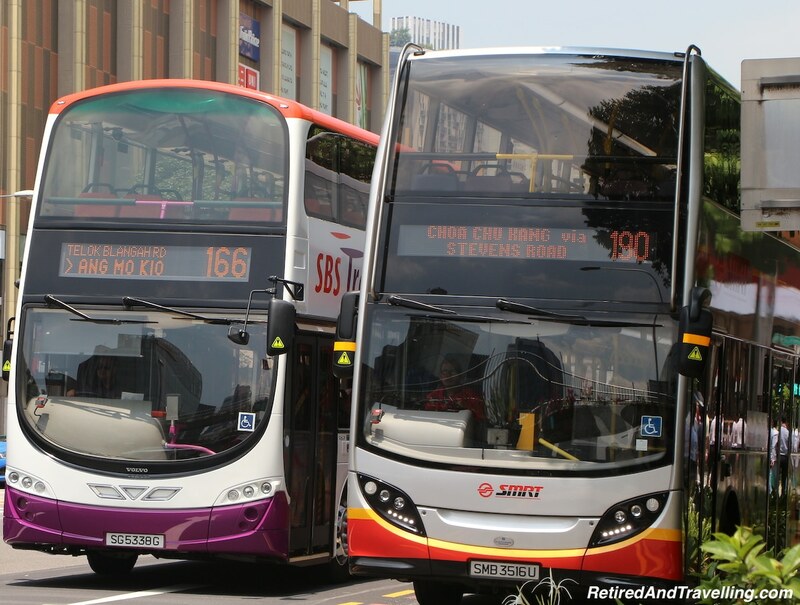 Plan to use the buses and subways in Singapore. 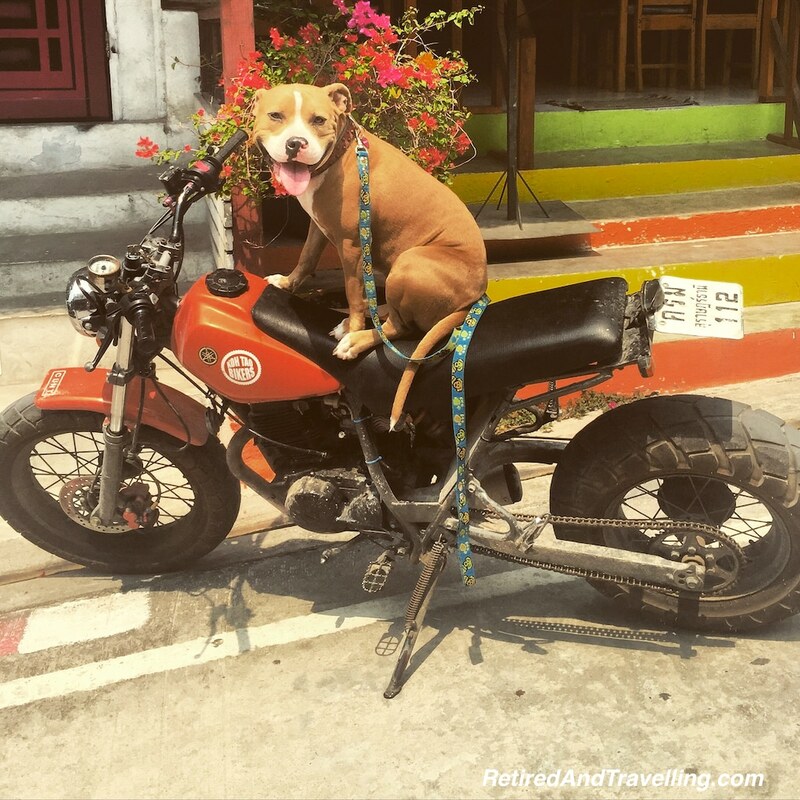 A reliable one of our tips for travelling SE Asia! 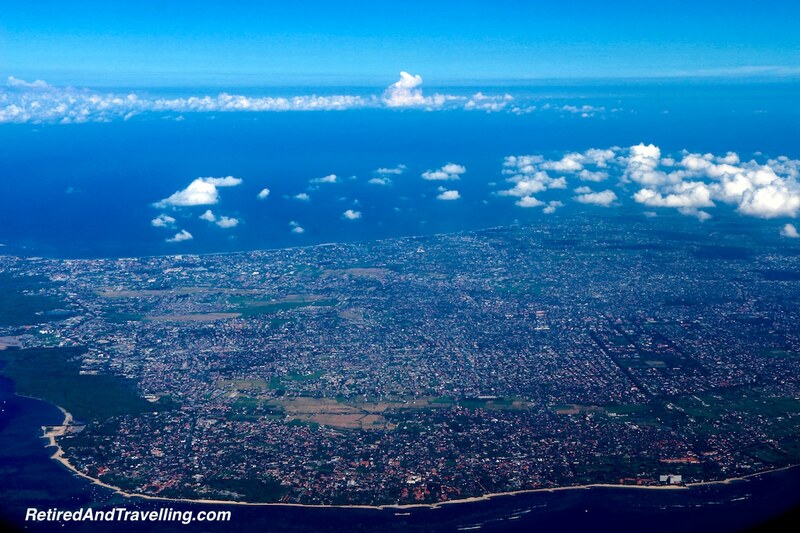 We were very surprised when we landed in Bali at how built up it was. I had imagined nothing but sea and sand. 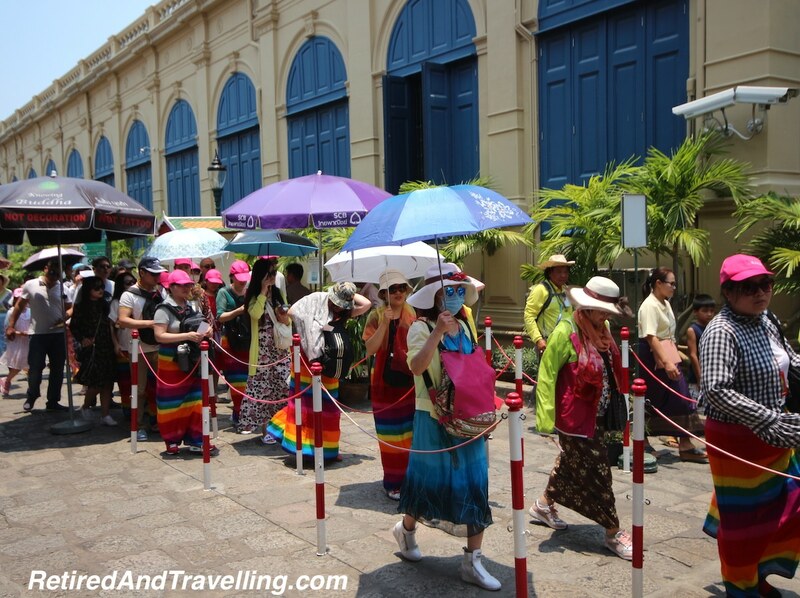 The tourist sites through SE Asia are very popular. If you hit a tourist spot with a tour, you will likely be disappointed with the site. We are morning people so we often did our touring early in the day. We even missed a great sunset show in Uluwatu in Bali when the crowds became too much to fight. But there are a lot of places off the beaten path that still shine. We found waterfalls with not a soul around, temples that were not on bus tour agendas and quiet beaches at sunrise. I know many of these countries are poor and we have so much more. Tourism is the main source of livelihood for many. Not every small child with their hand out has a handler waiting to grab the money for something that is not the food the child asks for. But I hate feeling like a walking dollar sign. When I visit a spot, I am spending a lot of money in that local economy. If I am staying for a longer visit, I want to feel like a local. Many stores have no prices on items and you know you are paying a higher price. I hate to walk down a street and be hustled at every turn to buy some tacky tourist souvenir. When that hustling is intrusive and abusive, it is even worse. No matter where we travel, I master saying “No thank you” and hope that I will be left alone. I also don’t want to be taken for stupid! In Bangkok we paid inside the terminal for a ride to our downtown hotel. Then the driver wanted us to pay another 25% in cash to him to take the highways. 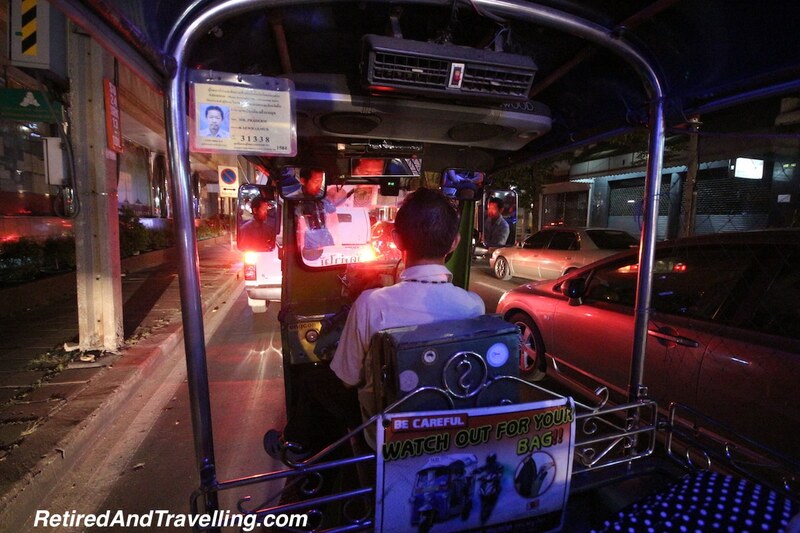 We sat back and said a 2 hour ride on city streets would be a great start to our tour of Bangkok. Of course he took the first highway on-ramp. He had already been paid for the minor toll he would pay. Don’t think we will be easily taken by scams. Travelling by taxi was often an invitation for major disappointment and hugely out of proportion costs. In most cases, the driver will refuse to put the meter on. If you watch the meter price, the fixed price you were quoted is often far out of line. If you take a taxi and they won’t put the meter on, make sure you get a firm price. We have sometimes asked them to write the price down to avoid the sudden loss of English skills when we arrive at a place. You may also get your hotel concierge to haggle for the price for you! Beware of prices that are lower if you take “just one stop”. This one stop will cost you. You will be forced to listen to a pitch on why you must buy a hand tailored suit! Pay the “no stop” price. This is particularly prevalent in Bangkok if you rent a tuk tuk. And keep your purse well inside and away from scooter thieves who will nab it from a moving tuk tuk. I am not a natural in places that require you to haggle for the price. David is much better than I am and we usually set our price before he starts. Know what a fair price is and stick to that. Haggle but know what is value for you and fair for them. Don’t ever accept the first price you are given. 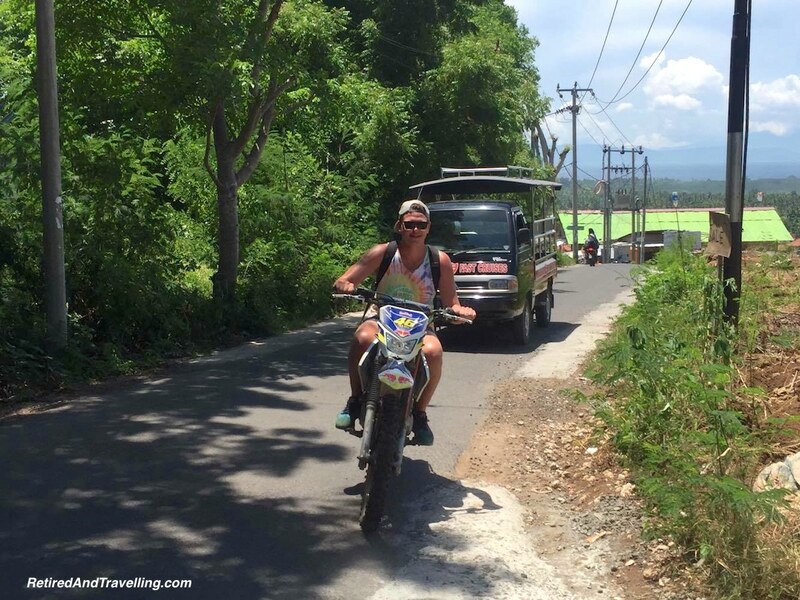 These are just a few of our tips for travelling SE Asia – the good and the not so good! There are so many good reasons to add SE Asia to your travel plans. But there are also a few things that you need be aware of. Don’t let the negatives keep you away! 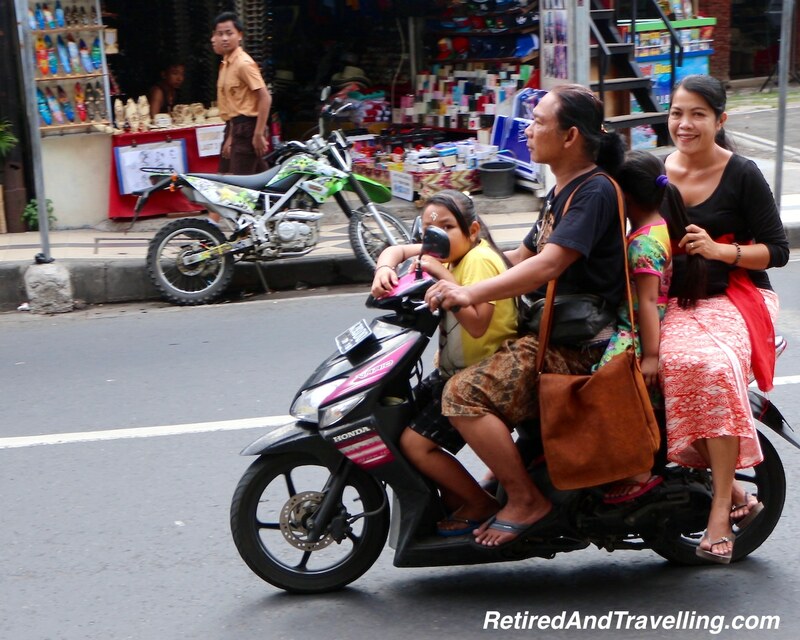 Do you have other tips for travelling SE Asia? Pros and cons? Any tips for dealing with the issues we have identified?